Are you here because you’re interested in trying out healthy Asian food and lifestyle? One of the most versatile cookware in the Asian kitchen is the stainless steel steamer. For instance, here’s my Thermos steamer, which I have been using for years to steam food and also make broths and stocks. 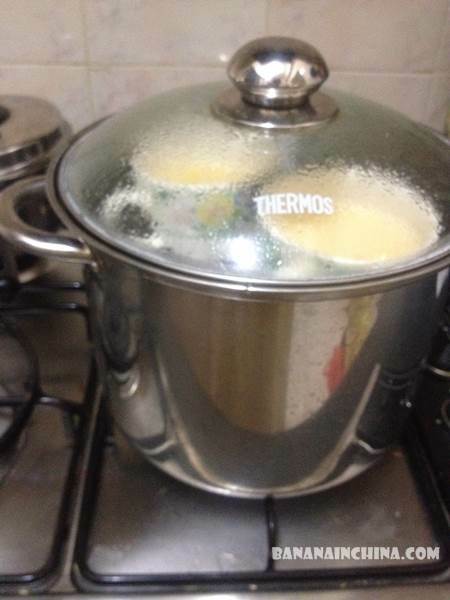 Food is placed on the top layer while the bottom layer is for boiling a pot of water. This stainless steel steamer is standing strong even after more than 10 years – do choose a 4-ply metal for the pot to distribute and retain the heat evenly. I learned cooking from a wonderful group of Moms who have 3-4 children each and they recommend a kitchen helper like the Instant Pot DUO60 6 Qt 7-in-1 Multi-Use Programmable Pressure Cooker, which is also a Slow Cooker, Rice Cooker, Steamer, Sauté, Yogurt Maker and Warmer! This healthy, stainless steel (18/8) inner cooking pot is made from food grade 304, no chemical coating, 3-ply bottom for even heat distribution, fully sealed environment traps the flavours, nutrients and aromas within the food. Almost all the food (Chinese or not) that we eat is prepared with fresh quality produce (meats, vegetables and fruits). Love your body by choosing your groceries carefully. Here’s to a healthy New Year! If you have any enquiries, please contact me here.